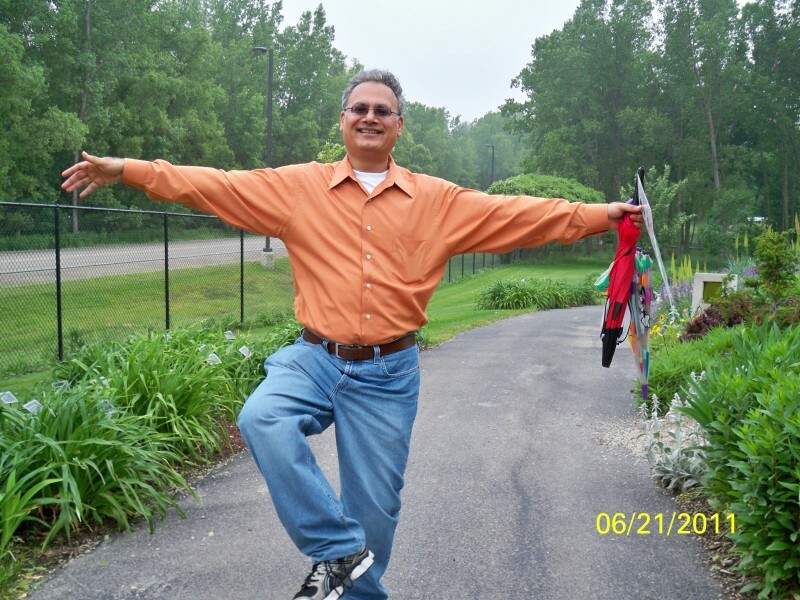 Ashtavakra Gita is a classic ancient Advaita scripture that is uttered by a great sage from a radical nondual perspective. 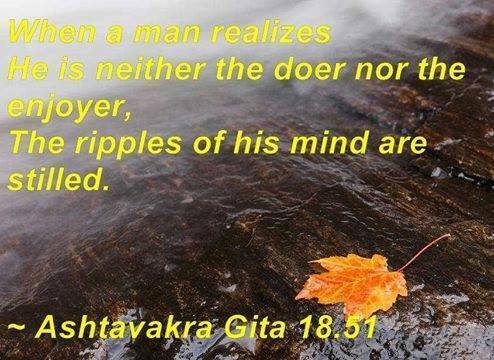 This was one of Sri Ramana’s favorite scriptures and he used it as a teaching tool in some conversations. Photo art found on John Wassenberg fb page. When you enter the Heart, you become the Heart. That is the true silence. 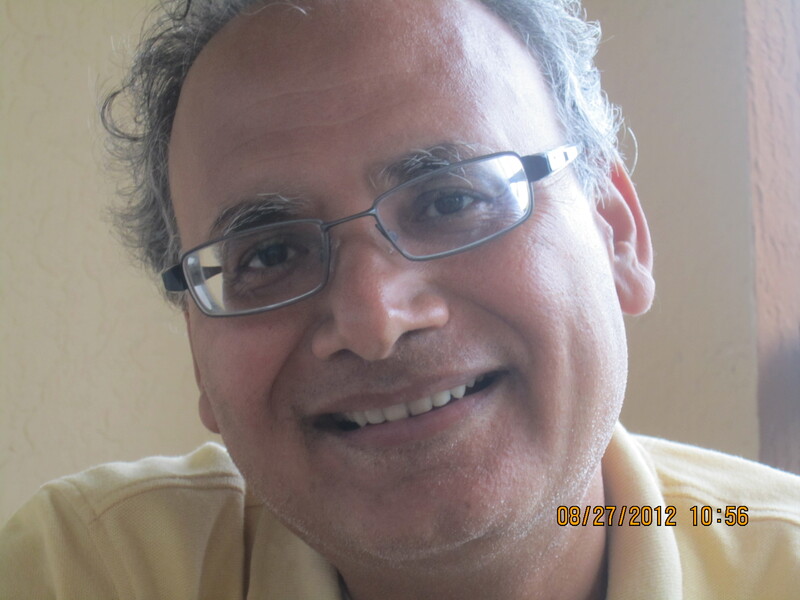 A man asked the Maharshi to say something to him. When asked what the man wanted to know, he said that he knew nothing and wanted to hear something from the Maharshi. Bhagavan then said to the man, “You know that you know nothing. 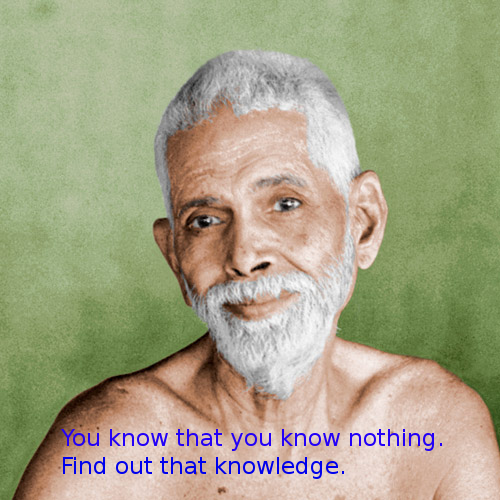 Find out that knowledge.” (See Talk 12 in “Talks with Sri Ramana Maharshi). now sound like noises in the city at lunch time. 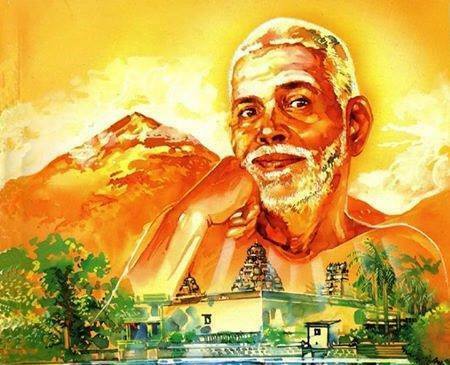 Sri Ramana Maharshi in the picture above. and for the first time realized what is meant by perfect intimacy.